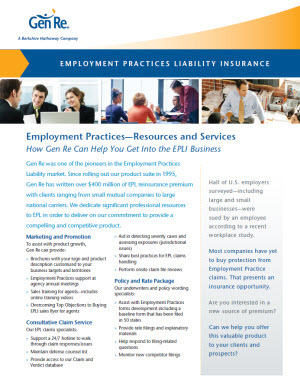 Would you like to get more from your EPLI product and reinsurer? It might be time for an EPLI check-up. Gen Re has helped scores of insurers offer tailored coverage to their business customers and grow a successful line of business. That includes much more than an EPLI product. It also means training, marketing materials, claims support and loss prevention tools. Our approach is to share knowledge and risk, so you can own the product and customer relationships. 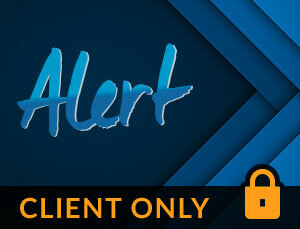 If you don't have a product yet, we can get you into the business. If you already have a product, let's talk about getting more out of it. If you are ready to invest in your company, call us about Gen Re EPLI.